Farmyard Flight is a fun adventure game. 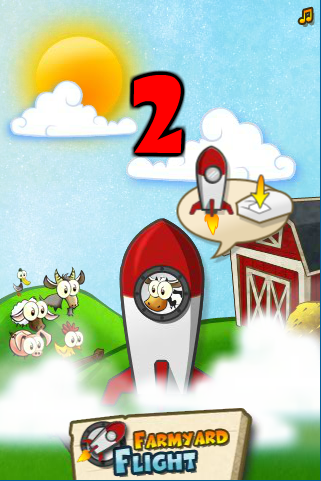 Farmer Brown's animals are racing to the moon. Pick your pilot and click to keep the rocket from crashing. Avoid the UFOs and collect the balloons for a bonus. The fastest time wins. This game is free to play. Please check inside game for instructions on how to play Farmyard Flight.